I haven’t blogged in over a month – that’s the longest time ever since Blonde Amy was born, and to be honest I’ve been lacking motivation with blogging. There isn’t one reason that can be to blame for not adding a new post in ages, so for that, I’m sorry. Today I thought I’d get the ball rolling again with a chilled out post, talking about why I’ve been lacking motivation with blogging, and my plan for giving myself a well needed kick up the arse! A lot of my time recently has been invested in my YouTube channel: it takes a lot of time to set up, film and edit a video to publish once a week. This and having a full time job has meant my blog has been neglected. I have had loads of exciting ideas for my videos that I feel are more engaging than the same topic on writing. It would be interested to see if you think the same? Having recently re-newed my blog domain packages and hosting fees, I’m making it my misson to get back on track and do a mix between the two. I’ve also found myself doing a lot of background work on my blog: answering emails, improving SEO (on every post) as well as other bits and bobs to generally improve how it performs on search engines that a lot of time has been taken by that. You don’t realise how long it takes to write 190 posts of SEO titles, meta description and keyword searches. I also feel as though I write a lot of reviews on here and want to mix it up with more lifestyle posts that I can’t really do on my channel. Even just writing this post has made me realise that it’s not even lacking motivation in blogging as such, it’s more being more critical of the quality of the posts and laziness that comes from that. I’m super close to 2k followers on Bloglovin which is bloody exciting. I still feel like my photography has a long way to come and setting that up can take time. With exception to this post, I won’t settle for photos being ‘okay’ anymore, I want them to be something I’m proud of. Any posts you’d love to read – feel free to let me know. I’m always looking for new things to talk about! I also work as a content writer as part of my job and sometimes I get home and the last thing I want to do is write content. That said, I love writing for my blog as it’s exactly what I want to talk about, in my style, about things I genuinely love. I am all about supporting blogs that are built on passion, so moaning about my job really isn’t plausible anymore. Bringing things that I learn from working in marketing to my blog can only help it improve and grow. Stop making excuses, Amy! So that’s it really.. these are all bloody pathetic excuses and I feel ready to give my blog the love it deserves. Expect beauty posts, lifestyle and a few random posts in between more regularly from now on. I’ll also be looking to host another giveaway when I reach 1,000 on YouTube so if you’d like to support me there, I’d be more than grateful, just as my way to say thank you for always being there even if I’ve not been. You guys genuinely make being part of the blogging community an honour, so thank you, from the bottom of my heart. 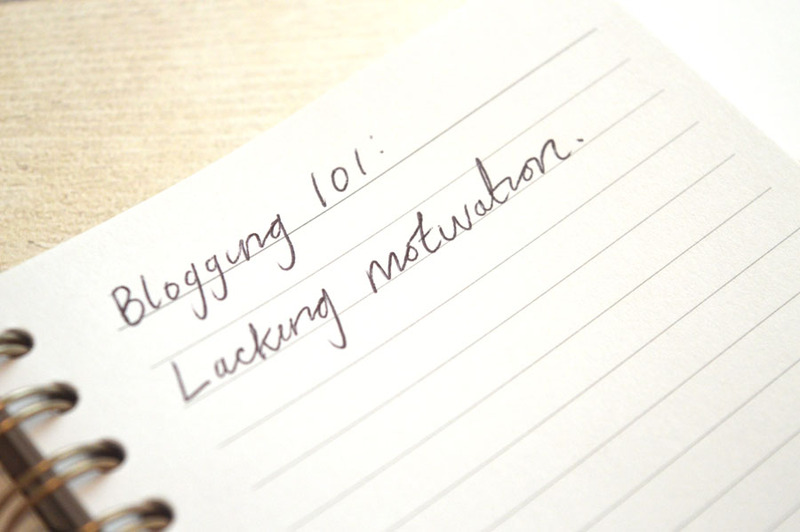 Do you have any tips for someone lacking motivation with blogging? Let us know in the comments! Battle of the… Blending Sponges!